Last week during the Charlie Hebdo attacks, four cartoonists were killed. And it is shocking! I mean, cartoonists are some of the people who provides some of the biggest free speech moments in the media world. I believe the pen is very mighty! More people get a story via a funny political cartoon versus reading a story. But here in the United States, the people who draw and create those political cartoons are facing a very tough time. And the tragedy in France might make things worse. So many brave American media outlets taking an important stand today by not hiring political cartoonists. Today here in the United States, only around 30 political cartoonists are working for a media organization in America. Years ago, that number was over 100. Heck, the political cartoonist from the Sun Sentinel was laid off right after the attacks in France. Yep, a talented cartoonist was axed. And things get worse, not one magazine in America has a full-time political cartoonist on staff. And only one website has a political cartoonist on their staff, only one! Over in Europe, plenty of media organizations have political cartoonists on their staff. But here in the United States, the political cartoonists profession has almost died completely. For the ones who draw those funny political cartoons, they are most likely unemployed and struggling. Mostly because media has transformed in the digital age, and cartoons are not important anymore? I mean, pictures and videos have gotten more and more popular, but cartoons is something people don’t like? I don’t find that right! And now, thanks to the killings of the four cartoonists in France, I am afraid media organizations are going to be too scared to hire a cartoonist. And that is sad! Because I know of many people who enjoy the political cartoons you see in the newspapers and online. 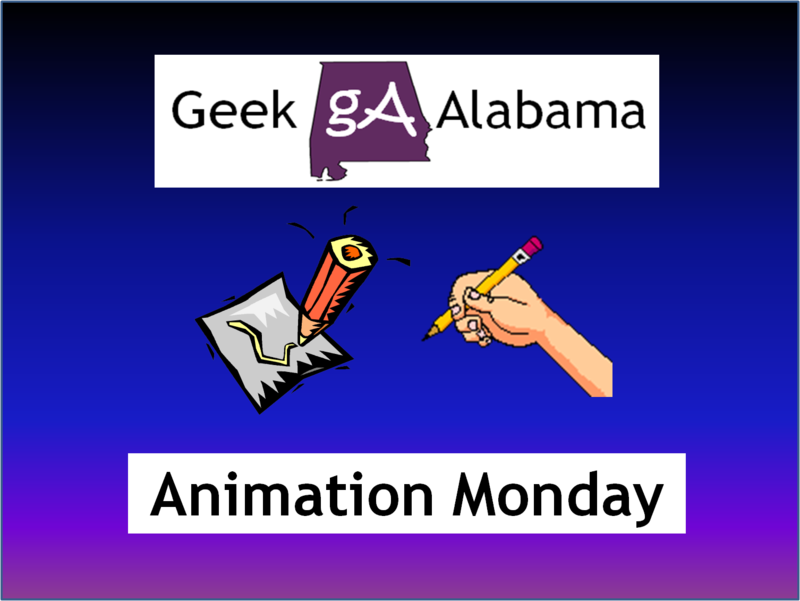 Geek Alabama even profiles some political cartoons on our Animation Monday weekly posts. I think the art of political cartoons is very strong! Political cartoons are some of the strongest media expressions you can see today. And here in America, we are just tossing the cartoonists aside and making them fend for themselves! Political cartoons are the international symbol for freedom of expression and a journalistic form of art that is needed more now than ever. Political cartoons make sure every person has the chance to see what is going on in the news. Even if a person is illiterate and can’t read a story in the newspaper or on the internet, that same person can mostly understand what a political cartoon is saying via visual storytelling. I think it is high time that all media organizations treats the cartoonists with respect! They have some of the toughest jobs in the media world. And they are treated like trash by many bosses, but are loved by many when their cartoons are published. I hope more websites and media organizations will start showing and publishing the work of more political cartoonists. They represent freedom, and the freedom of what we can say in America. And they also make sure the people doing the wrong and/or crazy things are talked about, with the form of a pen. Below, is a video from the PBS NewsHour where they talk about the death of the four cartoonists in France. And the defense of free expression of cartoonists around the world. Long live the political cartoonists! Why are satirical political cartoons so powerful? When words are plentiful but facts are fleeting, political cartoons disrupt mundane content and evoke curiosity, don’t you think? Yes it does! It’s sad to see the talents and arts of political cartoons slowly eroding away. I hope this tragedy starts a conversation about the future of this great art! Thanks for commenting! Your welcome, glad you enjoyed it!